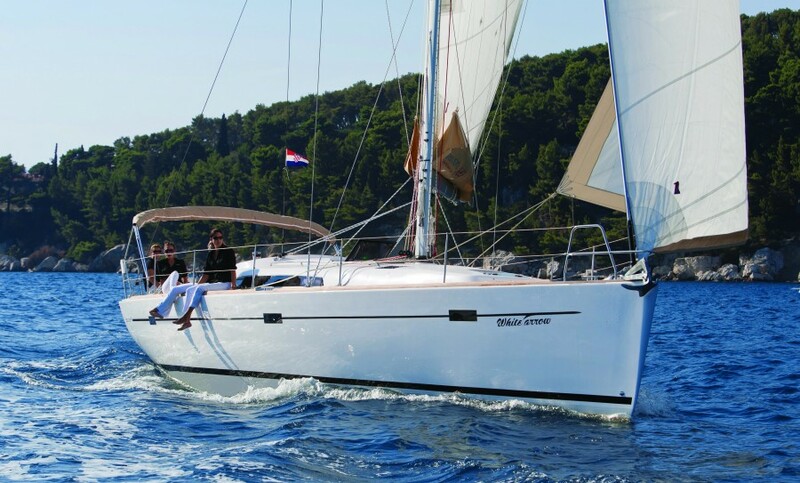 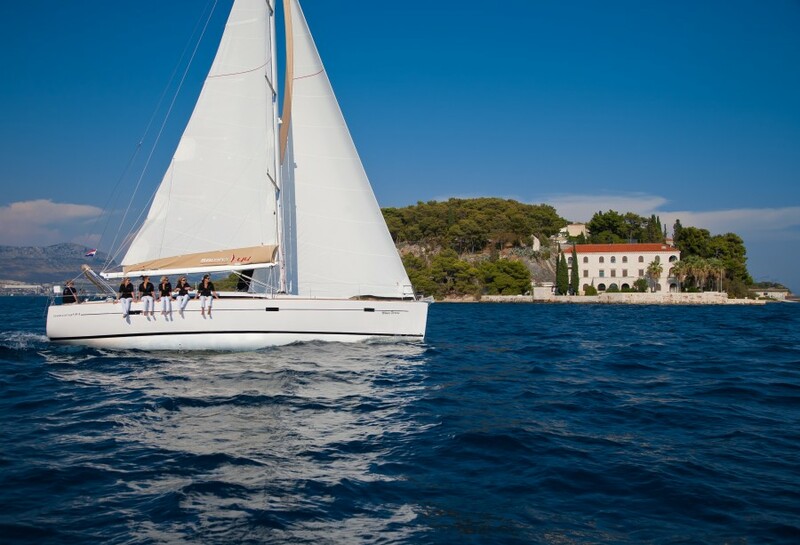 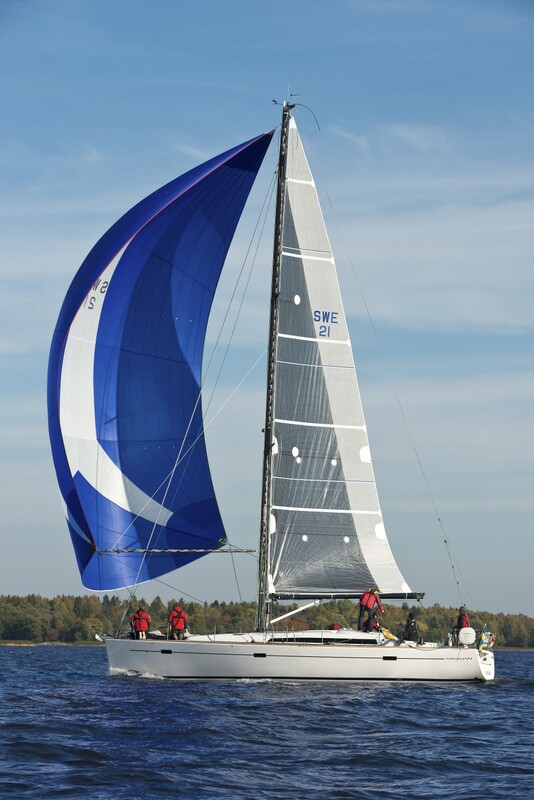 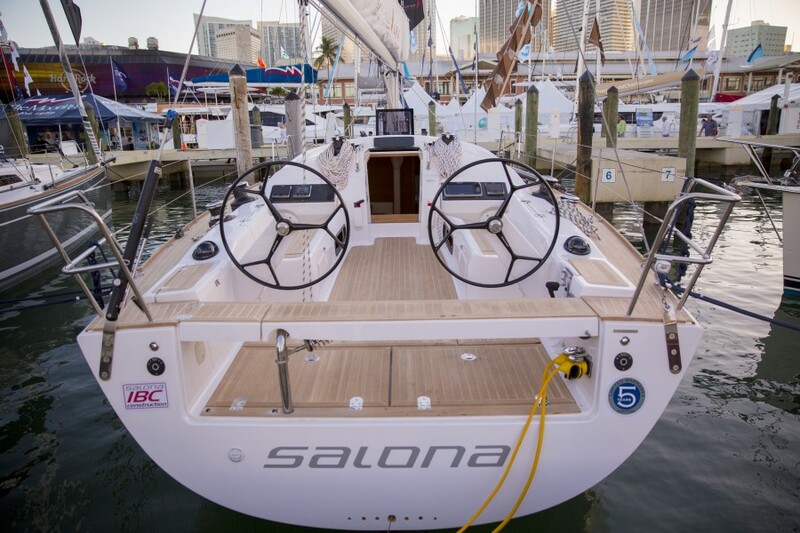 The Salona 44 takes the technology, design, comfort and reliability to the next level, and its stunning looks make her owner proud. 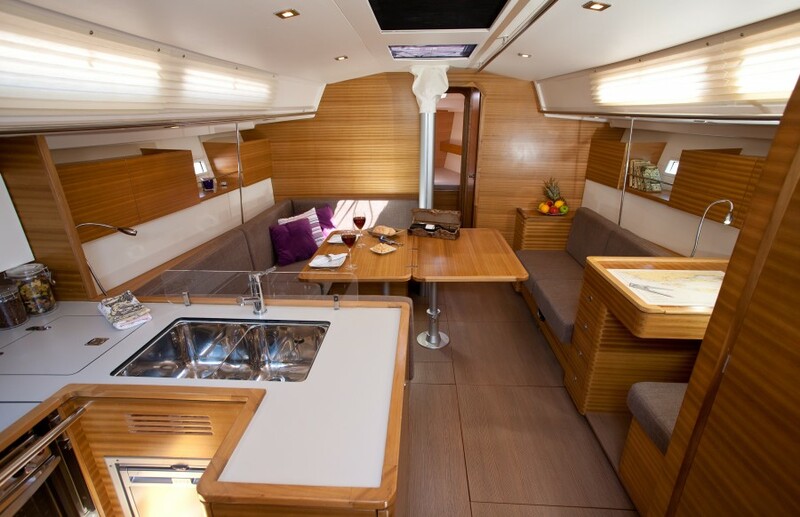 The cockpit area is wide and open thanks to the freestanding steering wheels and the smart location of the main traveler. 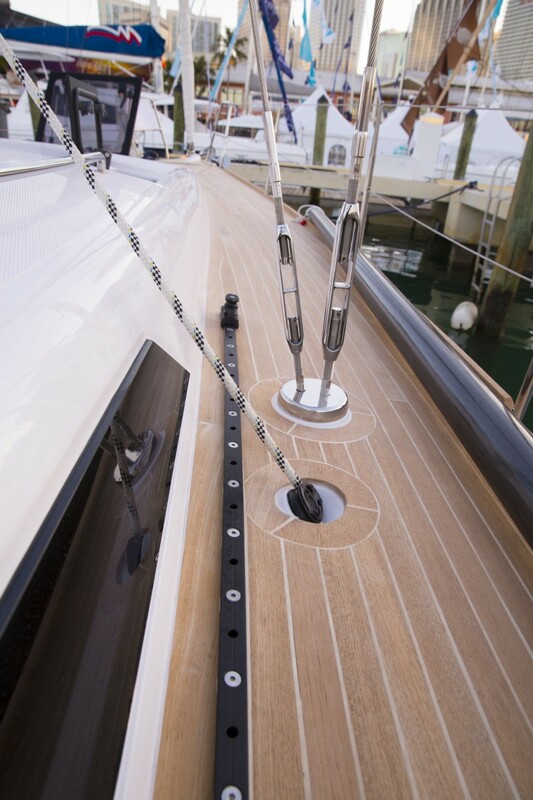 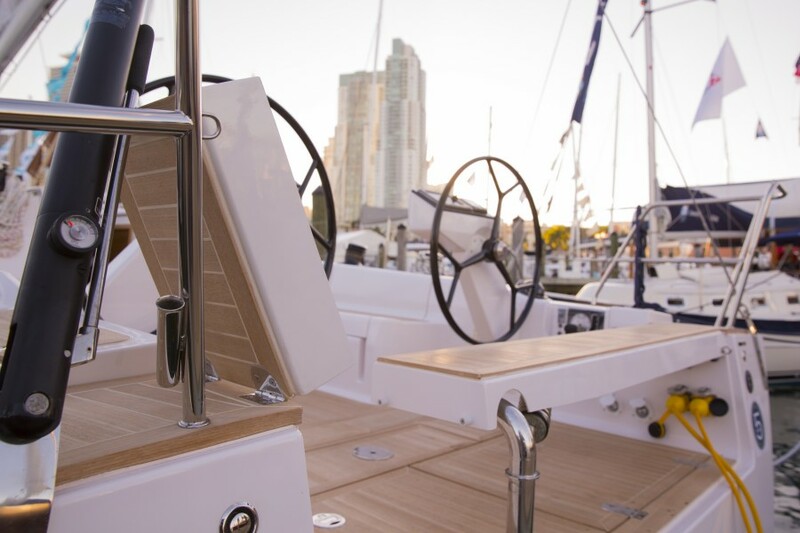 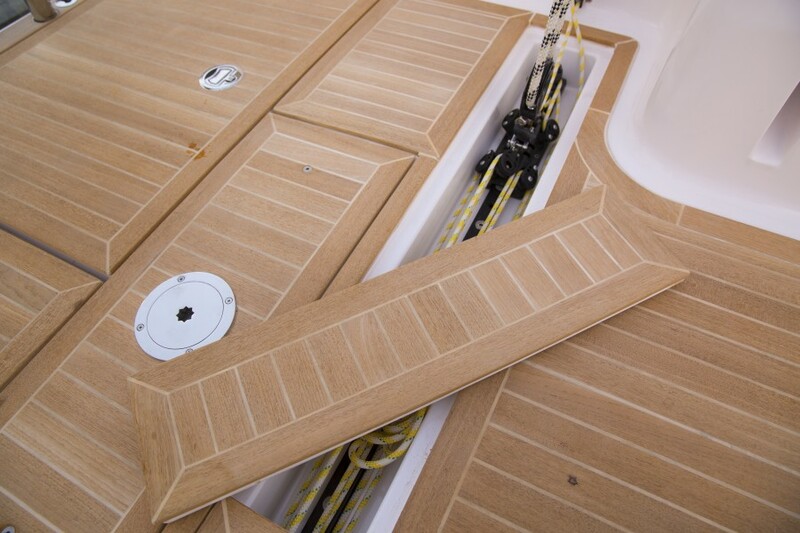 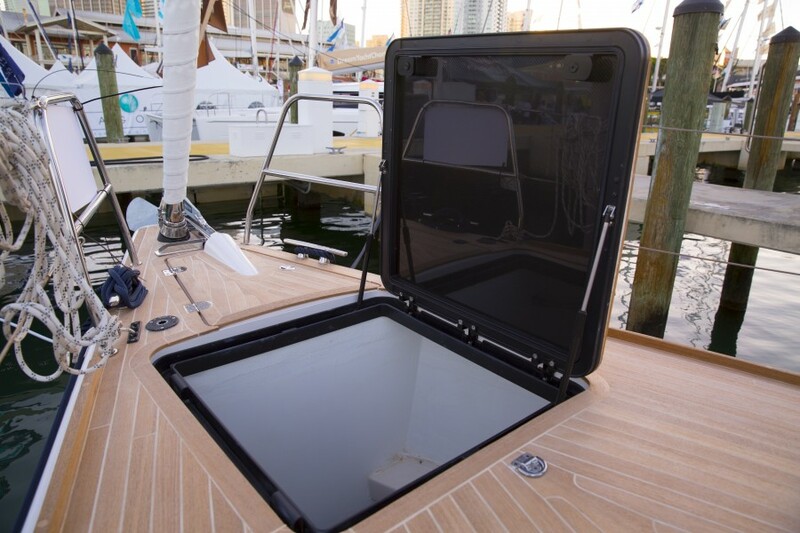 This obstacle - free cockpit features a transom bench that can easily convert from open to closed or be used as a gangway. 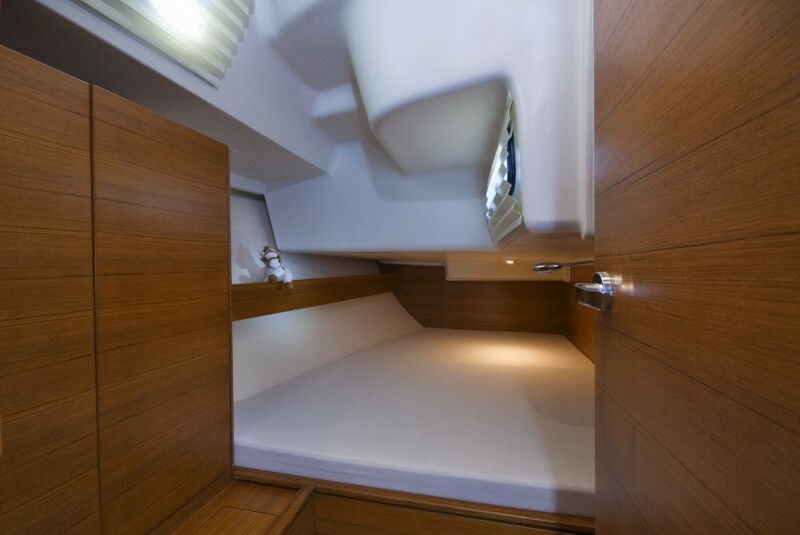 Additionally, there are four spacious lockers, two under the seats and two under the wheels, one of which is dedicated for life raft storage. 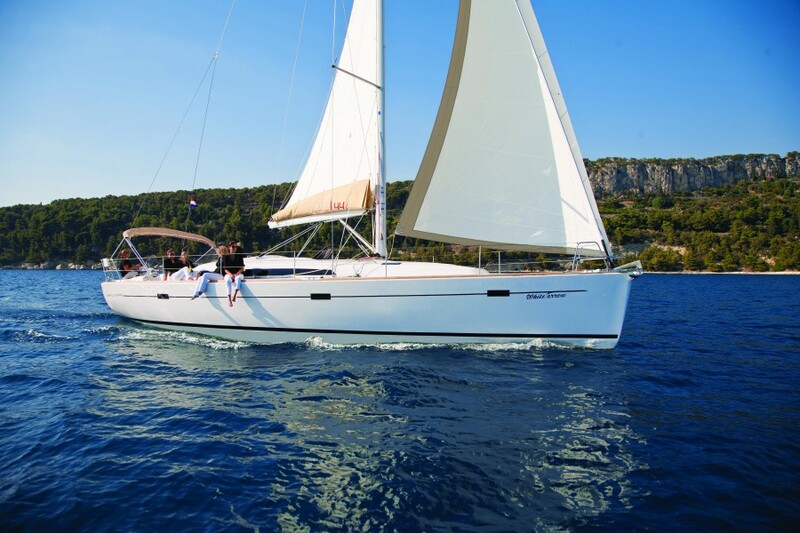 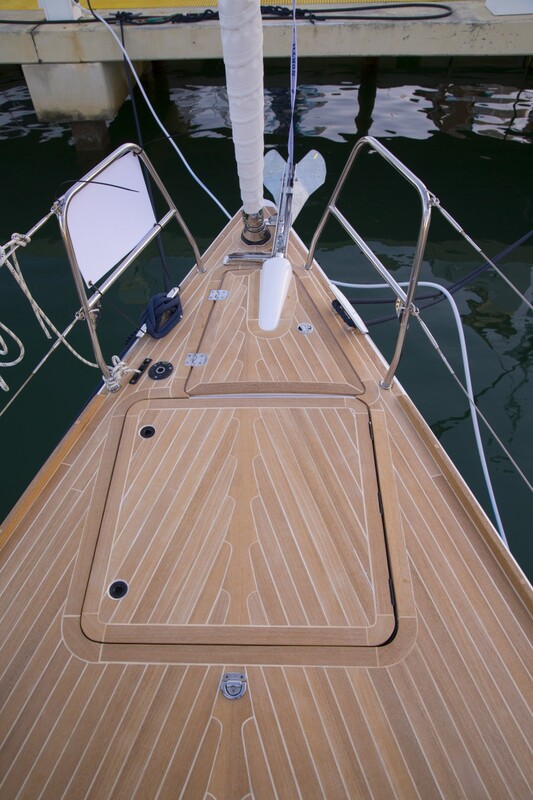 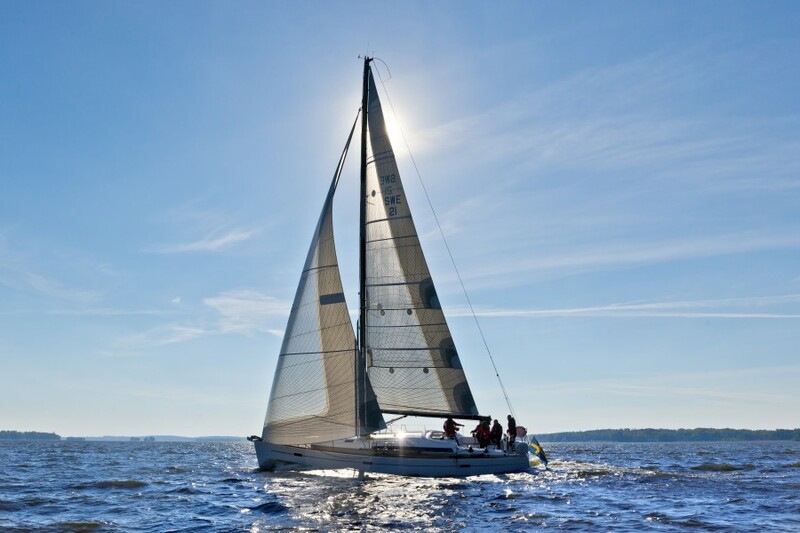 The boat can easily be sailed shorthanded, but also crew comfort and safety are secured by ergonomically designed layouts that offer functional and elegant spaces for pleasant family cruising. 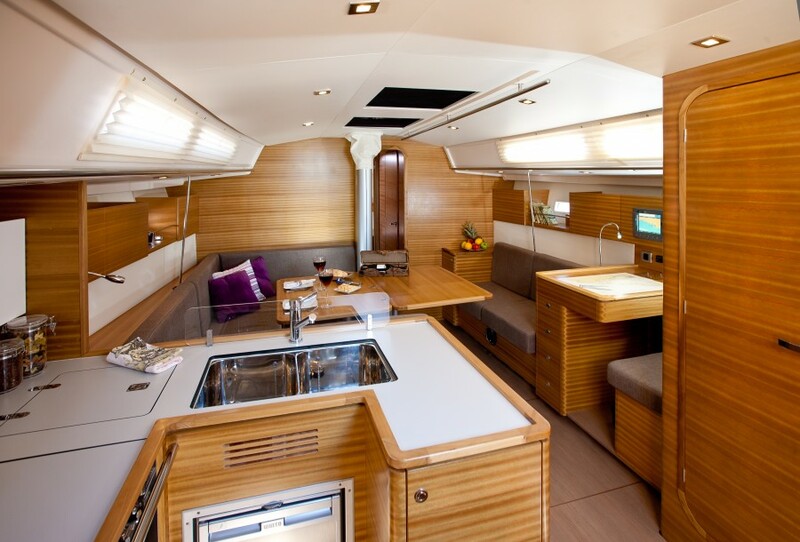 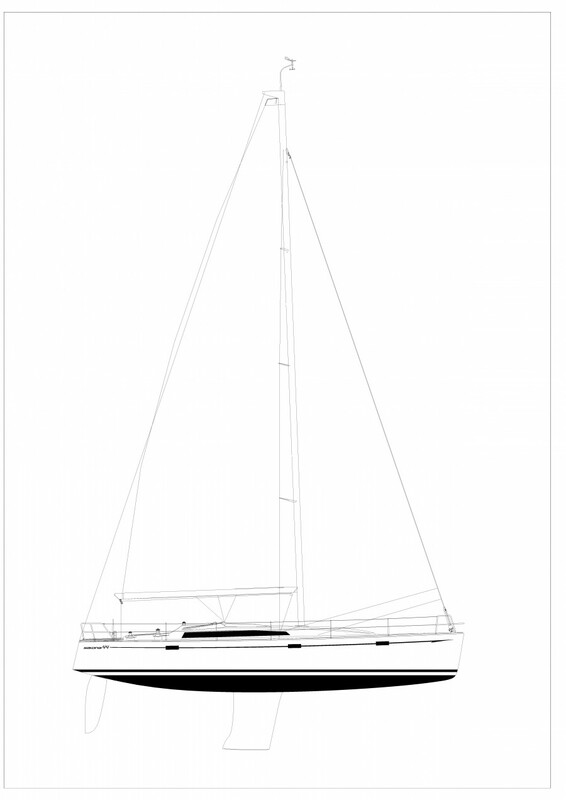 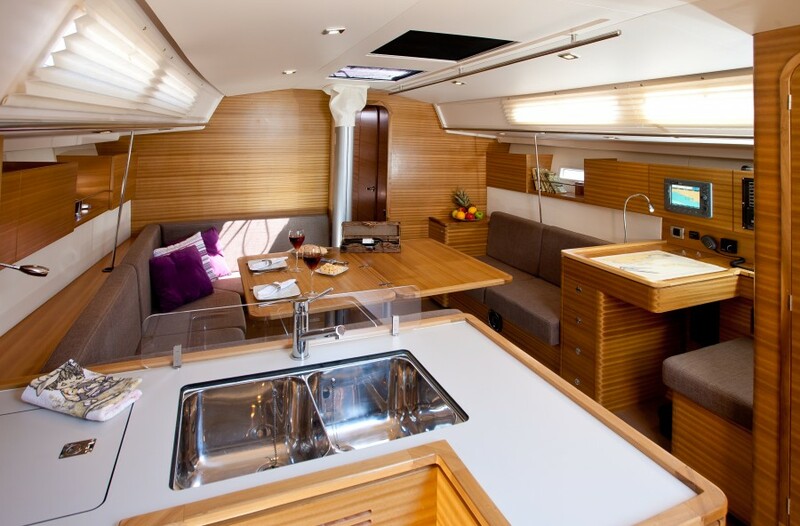 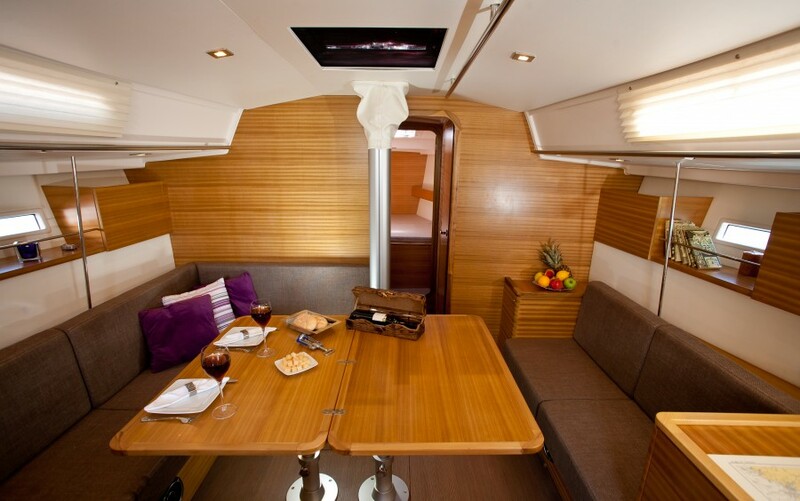 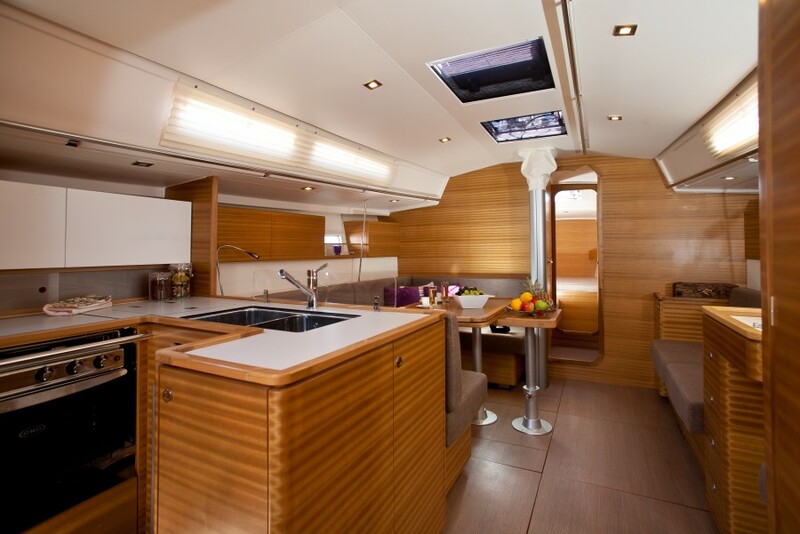 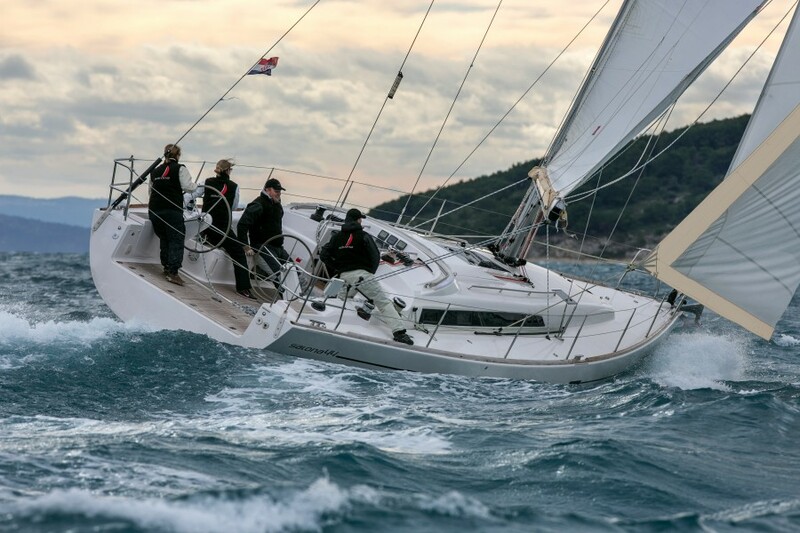 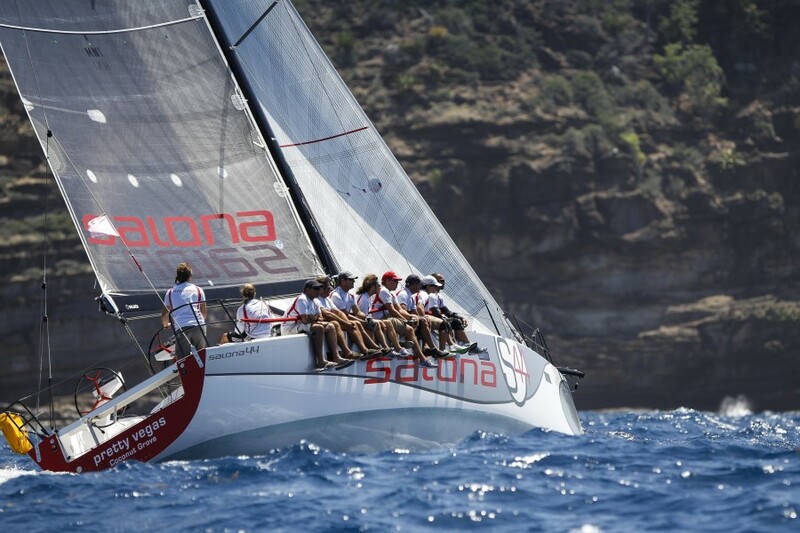 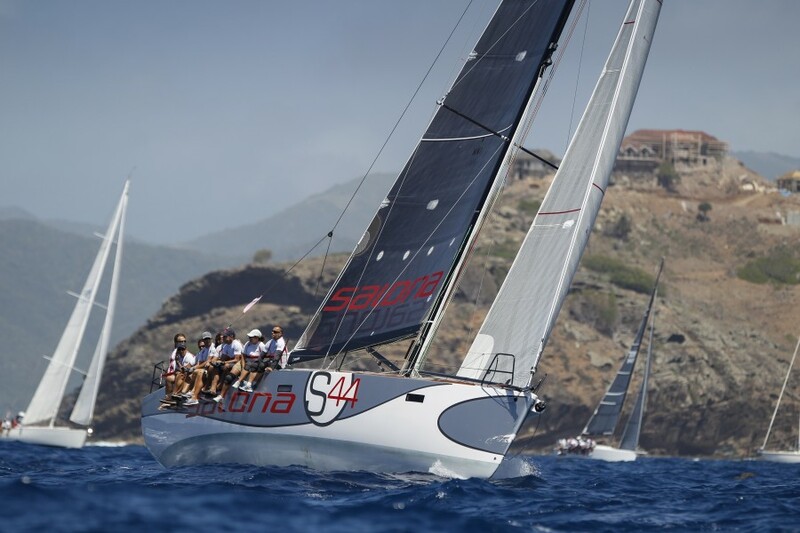 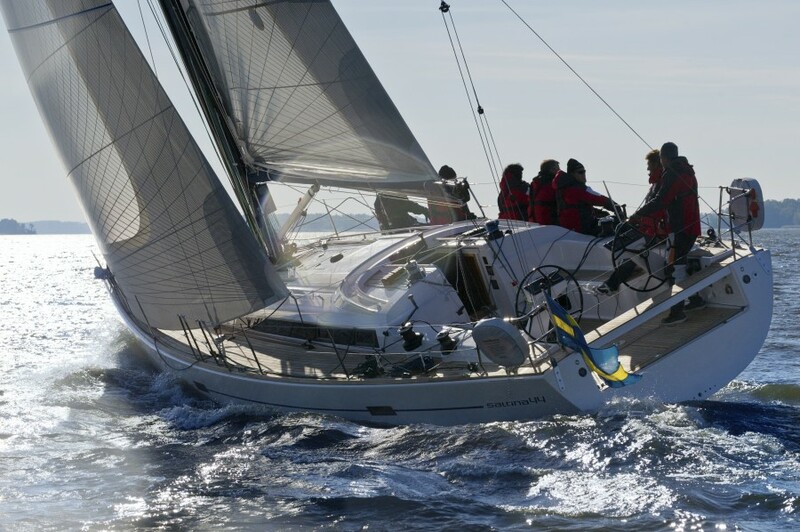 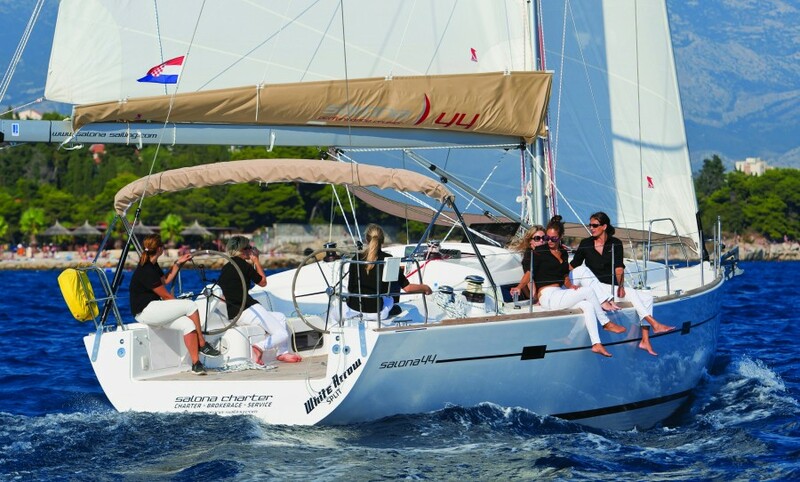 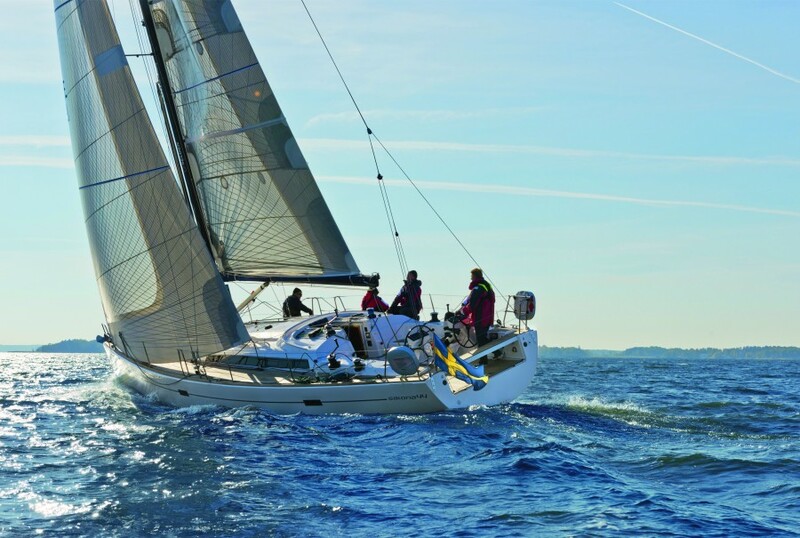 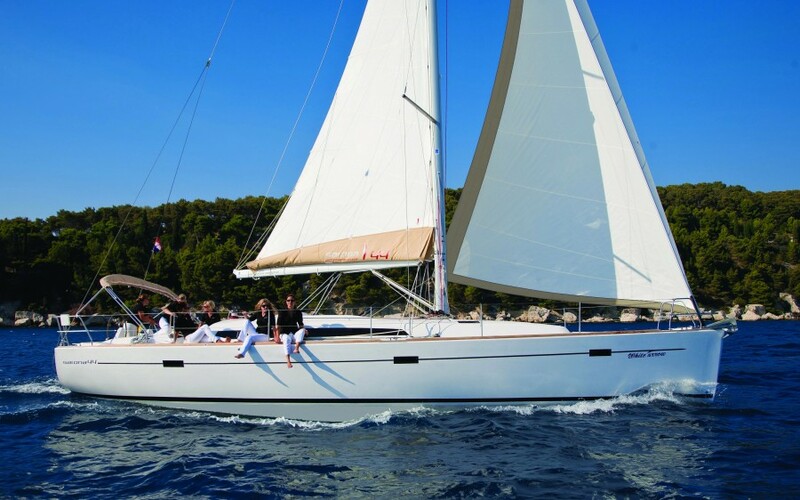 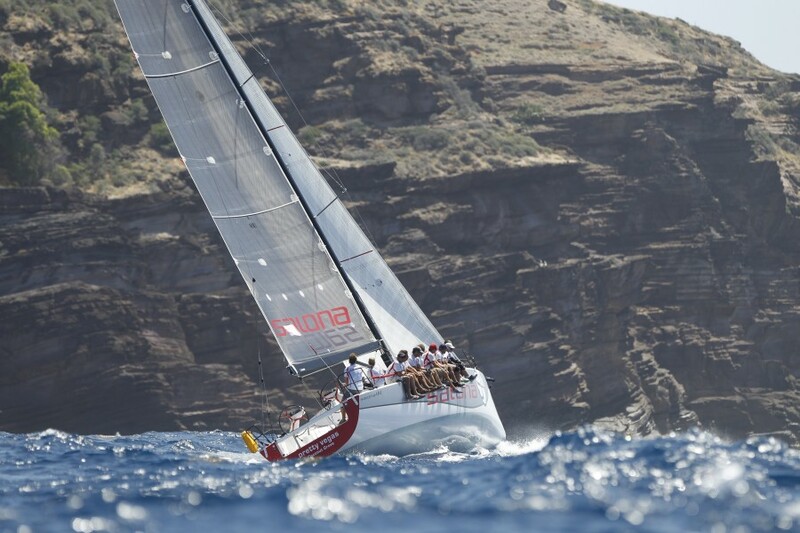 The Salona 44 boasts larger everything, from a larger than average refrigerator, to the sizable heads and considerable seating arrangements that enable the entire crew to gather in one spot. 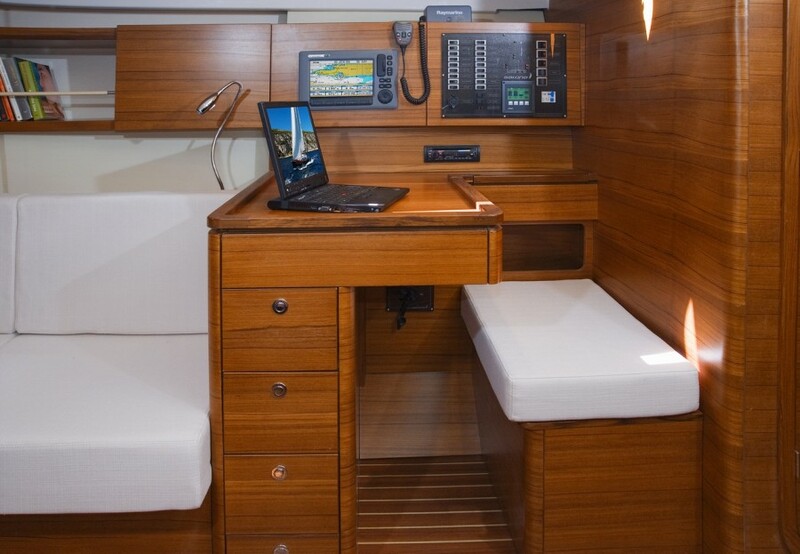 The L shaped galley on the port side provides ample storage and work surfaces with strategically placed grab rails, providing the perfect environment to keep the crew well provisioned even in open waters. 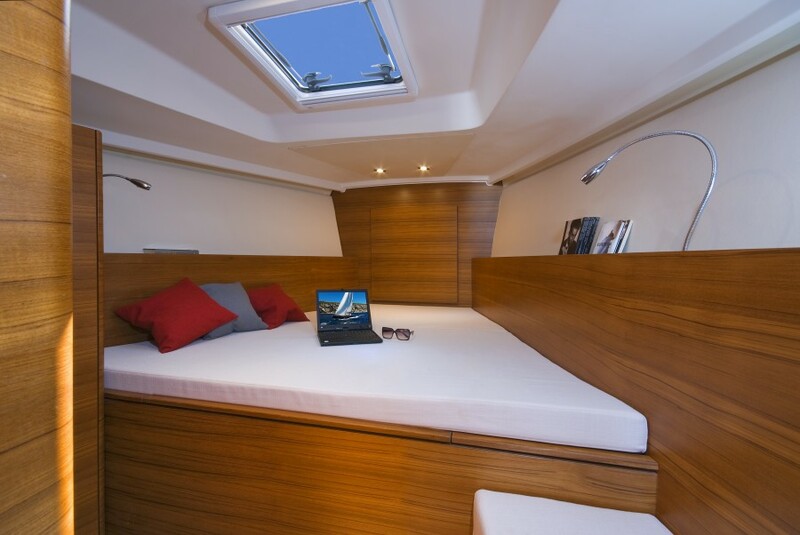 Both three and four cabin versions are available with king size beds and full standing height, not forgetting good size wardrobes and storage facilities.